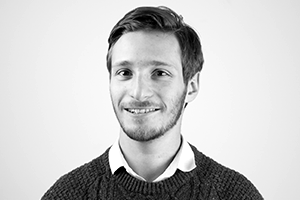 Josh joined SHM’s busy design team in 2013, and now works as a designer across many different projects. By focusing on how people use and interact with design, Joshua is able to take complex ideas and turn them into simple, beautiful pieces of communication, from apps and websites to videos and animations, and from digital e-learning games to presentations and infographics. Josh also applies his knowledge of user-based design to a diverse set of challenges for The SHM Foundation, including branding and identity work for the recent Ember and Zumbido projects. In his spare time, Josh sits on the board of executives for the Greater London North Scout District, a role which allows him to help shape the way that Scouting activities are delivered to the 7,000 young people in the district. He is also the County Youth Representative on the National Scout Council, making sure that the views of young people are heard and represented at a national level.